miles of paved roads, and 17 streets...all secluded & protected behind security gates staffed with 24 hour guards. Looking for Raintree Woods H.O.A. Information? 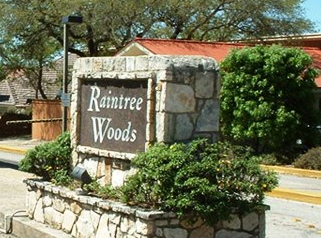 The "About" link will lead you to information about the Raintree Woods Homeowners' Association and how you can participate. Use the "More Info" link for more in-depth descriptions of Raintree Woods, Fair Oaks Ranch, Bexar County, Kendall County, Comal County and the San Antonio area. The "Homeowner Resource Center" link will direct you to a page where homeowners and residents can find applications for automobile bar codes, forms to submit a new or remodel construction project, and more. Picturesque Fair Oaks Ranch is located off of I-10, just twenty-seven miles West of San Antonio and 5 miles east of Boerne, TX. If you didn't know, Boerne (locals call it "Bernie") was ranked number 48th in CNNMoney.com's "Best Places to Live" in 2005. Boerne was also chosen as one of the top 5 places to retire in the January/February 2007 issue of WHERE TO RETIRE magazine. 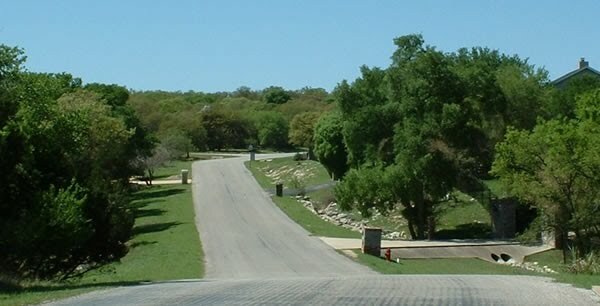 Come to Raintree Woods and the Texas Hill Country. Stay awhile!